Double-column continuous screen changer with double working station by altering two pistons with double filtering areas. the polymer melt is divided into two flow channels then conveyed through the two filters equipped with the appropriate filter medium.So it also be called double pillar continuous screen changer. 1.This continuous screen changers matche with extruders of different design. 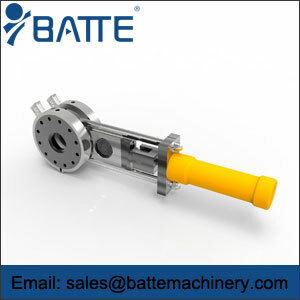 It is applicable to process most polymers at high output. 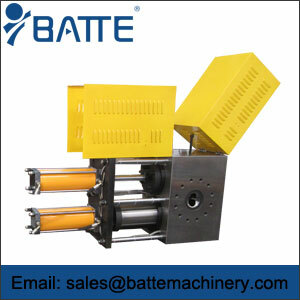 2.Double pillar continuous screen changer realizes a non-stopping screen changing operation. 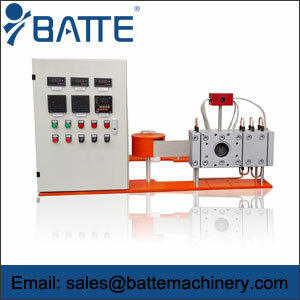 3.Automatic screen changer with unique sealing system ensure perfect sealing effect. 4.Advanced designing and precise manufacturing, along with delicate exhausting system realize the its dual function of filtering and gas exhausting. 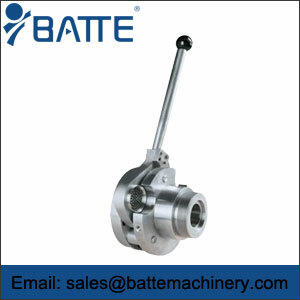 5.Both standard specification from 80mm to 250mm and special design upon customer’s specific request are available. 6.Outside cover brings the machine good appearance and secure operation. 7.The whole system boasts very reasonable design, easy operation and perfect performance. Double-column continuous screen changer with double working station can be used for synthetic fiber, blown film, flat film, casting film, pipe, sheet, wire manufacturing, cutting line, recycling and so on.